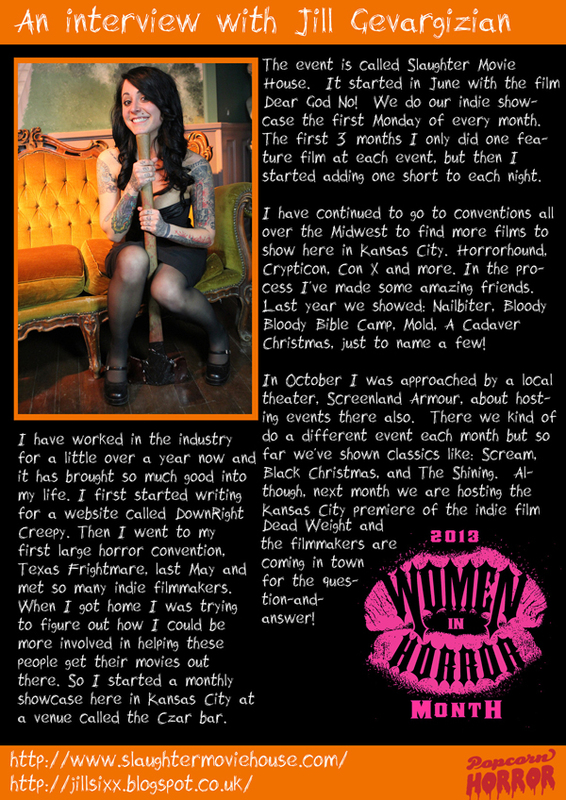 In case you didn't know, February is Women in Horror Recognition month. I saw Popcorn Horror tweet something like, "If you're a woman in the industry- email us and tell us what you do!" So, I did and they responded saying they'd love to feature me. Popcorn Horror is phone app that pays cash for your 1-20 films and fans can watch for free. Read the interview below or click here.